Manicured nails and pedicured toes are a must-have for all of your upcoming holiday parties. Don’t want to spend big bucks for the perfect look? You’re in luck! As a reader of Bright Lights, My City enjoy a 15% discount off of any service with Nail Gypsy this December. 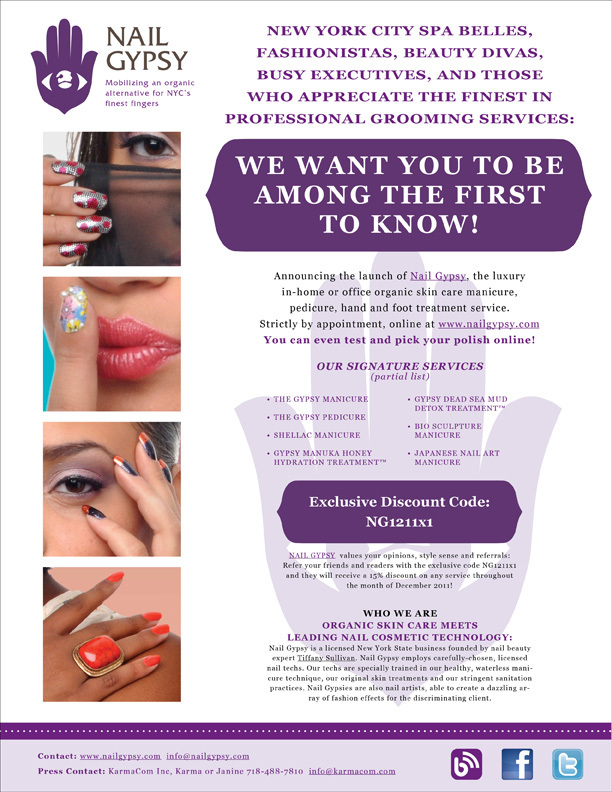 Remember my wonderful experience with Nail Gypsy? Now you can get the same lovely treatments with a discount!